I have a dog that even with the best food, supplement, and flea treatment he itches and scratches it is similar to the way someone with eczema would scratch, it drives me crazy and I know it drives Bella crazy too. 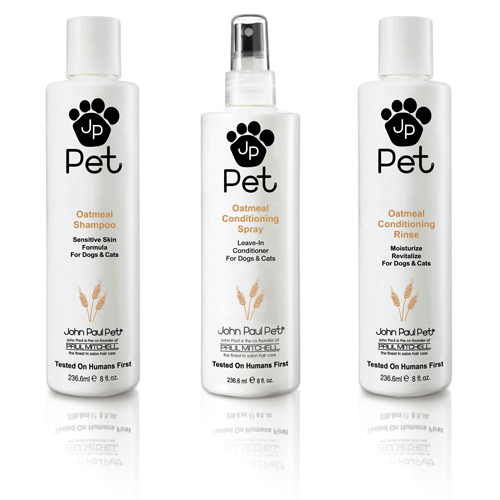 John Paul Pet sent me some of their Oatmeal Dog Shampoo along with the Oatmeal Conditioning Dog spray to try out with her, and I am so glad they did, I love this product for her. Bella is an Old English Sheepdog mixed with a Lab and weighs almost 80 lbs, giving this dog a bath is a job for three people, first we have to brush her coat out to get tangles and such and then the chase is on to get her into the tub for a scrub down. The John Paul Pet Oatmeal Shampoo smells so good and lathered well, it was easy to see how happy she was and feeling some relief, everything we have used in the past for her always had a strong medicinal smell to it and was not too much of a joy to use. The oatmeal shampoo smelled of almond oil and smelled fresh and clean. After her bath we sprayed her down with the Conditioning Spray, which was so much easier than using an in bath conditioner with my beast of a girl! Every time we have given her a bath afterwards it is difficult to comb her and get all of the tangles out. She smelled so good and felt so much better, I knew inside that she was so much happier and feeling groovy again. The itching was so much better and she seemed to have more energy and she even ate better. I noticed after a bit she started to itch a bit again and I put the Oatmeal Spray on her again and rubbed it in her skin and she was good again. It is so nice to her itching under control and just as good as that, she smells good probably for the first time in 6 months. 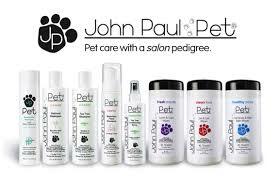 I knew that my dog did not have any serious wrong with her skin and I am glad I was lucky enough to find a solution in the John Paul Pets line of shampoos and conditioners.